He learned quickly and before long he had added goal scoring to his growing repertoire. In March 1977 he was the Celtic hero in a 2-2 draw at Ibrox by scoring twice, the second of which was a never to be forgotten spectacular crashing volley from a John Doyle free kick as Rangers fans were singing prematurely of a 2-1 victory. 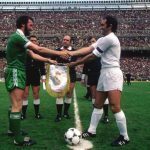 Roy’s early days in the hoops were sometimes difficult as Celtic went through a period of transition but he cemented his place in Celtic folklore when he was one of the 10 men who won the League by beating Rangers 4-2 in May 1979. It’s no exaggeration to say he covered every blade of grass that night, scoring once and creating two others. If Roy Aitken had never played for Celtic again he would still have been remembered as a legend solely on that performance. One of the most spectacular sights during Celtic games in the 1980’s was Roy Aitken’s regular dynamic, powerful bursts from defence or midfield. This was best demonstrated against Rangers in 1981 when he broke from defence and powered down the right flank, easily brushing two Rangers players aside in the process. When his first shot was blocked by a defender he still had the presence of mind to send a glorious shot high past Peter McCloy and into the net. It was a magnificent goal and he had ran three quarters of the pitch to score it in the process. In 1982 Jock Wallace was the newly appointed manager of Motherwell when Celtic came to trounce his new charges by 7-0 much to the delight of the huge Celtic support inside Fir Park. Aitken scored twice that day and they were almost identical goals as he spectacularly raced forward from midfield past the challenges of several Motherwell players before calmly scoring with all the aplomb of a centre forward. Celtic fans loved big Roy’s effort and commitment and when he went on these thrusting runs the fans would respond with a rousing chorus of ‘Feed the Bear, Feed the Bear, Feed the Bear’, which was reference to Roy’s nickname that the fans had given him. Roy Aitken, in full flow, was a remarkable sight. It has to be said there were other songs sung on that trip home that the SNP’s ‘charming’ Christine Grahame would have had us banged up for. Roy Aitken was occasionally branded a dirty player in certain circles which was totally unfair to the big man’s reputation. Roy was always whole hearted and committed but I would defy anyone to label him a dirty player because there is no evidence of this at all. He was of course sent off in the 1984 Scottish cup final against Aberdeen (for his first tackle) but the sending off was more to do with over acting on the part of the injured Mark McGhee and the disgraceful hounding of referee Bob Valentine by several Aberdeen players, most notably one Gordon Strachan. Roy remained very friendly with both these characters on Scotland duty which says a lot for his forgiving personality and it is ironic that both McGhee and Strachan were to turn up at Parkhead in later years in different capacities. Personally I would never have let the two of them into Celtic Park as paying customers, never mind employing them, after their antics on that day at Hampden in 1984. Aitken managed to put the misery of the 1984 final behind him exactly one year later to the day when Celtic faced Dundee United at Hampden in the 1985 SCF. With 20 minutes remaining United were well worth their 1-0 lead when David Hay took off Paul McStay to put on defender Pierce O’Leary in his place. Quite frankly we all thought Davie had lost the plot but his ploy was to release Roy into midfield for some much needed drive and urgency. 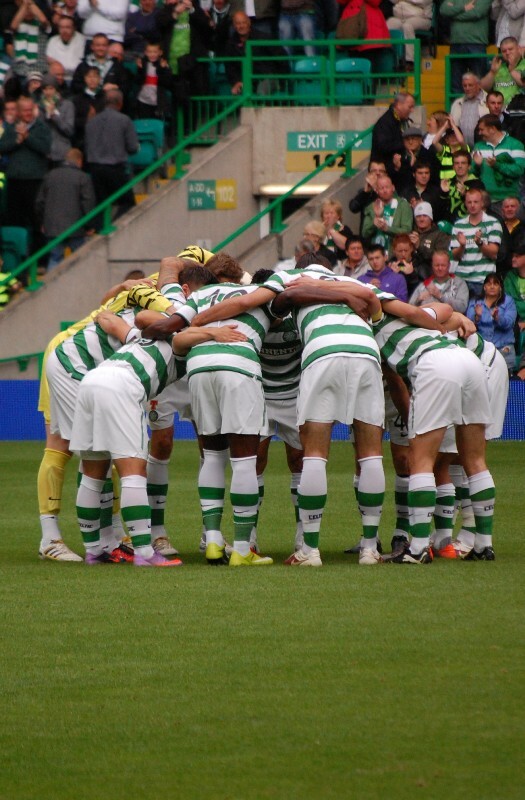 The turnaround was astonishing as Celtic, driven on by big Roy, threw everything at the United defence. Davie Provan’s free kick brought the equaliser and with minutes remaining Aitken powered down the right hand side to cross for Frank McGarvey to score with a diving header. The atmosphere in Hampden was amazing in that last 20 minutes as the Celtic fans sensed United’s hesitancy and roared their team to victory. Hampden wasn’t a salubrious arena in those days (it still isn’t) but it was far better than the impotent effort that the SFA have foisted on us now. 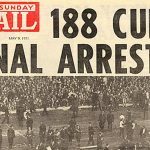 The exciting finish in the 1985 final compares most favourably with the similarly dramatic endings in the 1931 and 1965 finals and it could not have been won without the strength and courage of Roy Aitken. In 1988 Roy had the honour of captaining Celtic in their highly successful centenary season. Most people remember the landmark games that season but we should also recall Roy’s courage in taking a last minute penalty against Morton at Parkhead in February 1988. Such was the tension that day many fans could barely watch when Celtic were awarded the spot kick but Roy remained cool under pressure and stuck it away. 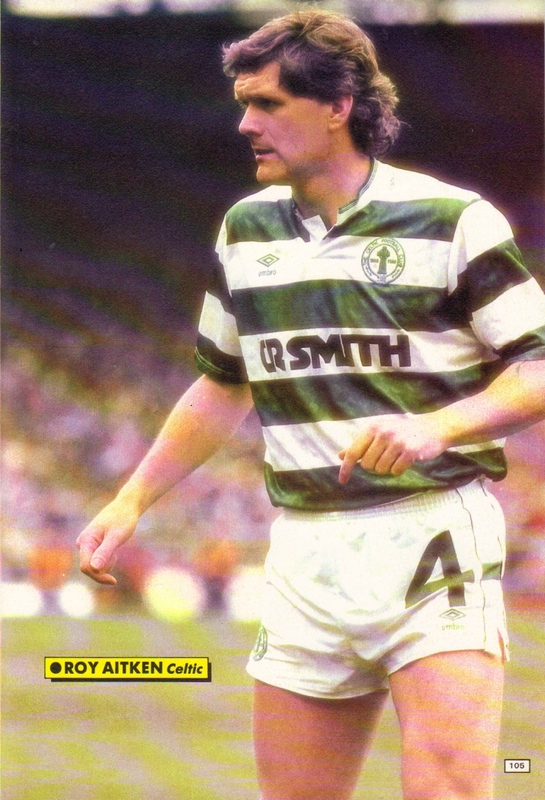 The only blot on Roy Aitken’s Celtic career was the nature of his departure in January 1990. 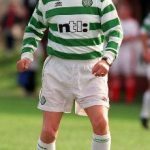 In the autumn of 1989 Andy Roxburgh had made Roy Scotland captain and this had not gone down well with certain members of the Scottish press, particularly Gerry McNee, whose criticism was often over the top and bordered on the vitriolic. With Scotland’s place in the 1990 World cup finals now assured Roy became desperate to retain his place in the national team and also the captaincy. He asked Celtic for a transfer on the grounds that he was under pressure from the Scottish media and that a move to England would help him overcome his problems. 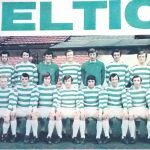 Billy McNeill reluctantly agreed to the demand and Roy was transferred to Newcastle United in the English second division. Celtic were going through a difficult period at this time and Celtic fans felt that Roy had betrayed them by asking to leave. Given the fact that he had been given a lucrative testimonial when 40,000 fans had turned up for his financial gain they may have had a point and thus one of Celtic’s greatest sons departed from Parkhead. 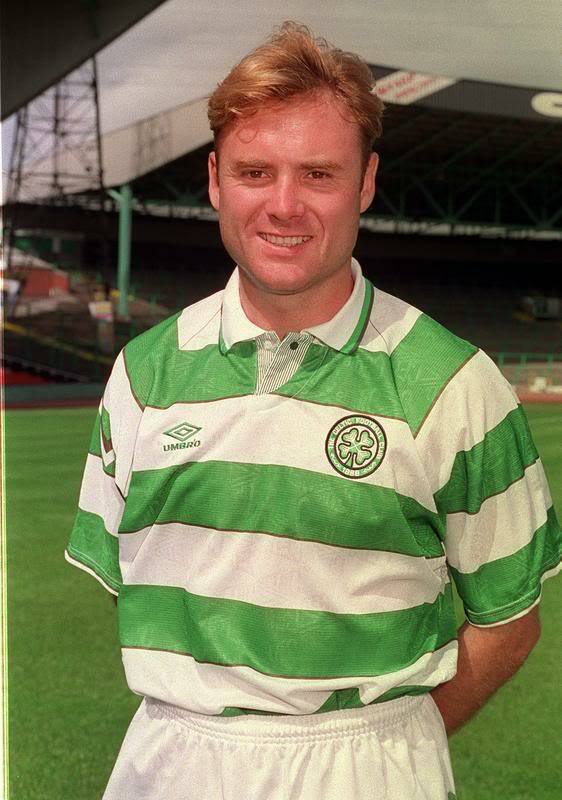 He was a hard man to replace and it was not until the arrival of Johan Mjallby many years later that Celtic could say they had another such powerful presence in defence. However despite the nature of his departure Roy Aitken should be remembered for the best reasons, for his six League medals, five Scottish cup medals and one League cup medal as well as a host of great memories. Roy Aitken is an all time Celtic great.